One of the most important things we assist clients with at Strategic Retirement Plans is identifying and mitigating risk. Risk management comes in many different forms: managing the risk in your investment portfolio or managing the risk of having enough funds in retirement. One risk that must be considered in any holistic financial plan is the risk of a tragedy that resulted in death or disability. The best way to help mitigate this risk and maintain your stream of income is with a proper insurance plan. The insurance industry is far-reaching. They exist to provide peace of mind in any situation for a fee. Today we will focus on developing an insurance plan for life, disability, and long-term care coverage. These 3 areas create the highest risk of disrupting your family’s income stream. While no one likes to think about a tragedy that would result in the need for these types of coverage, we believe the compassionate thing to do for our clients, and for you to do for your family, is ensuring these risks are properly mitigated. Life insurance may be the type of coverage that most people are familiar with but can still be one of the more complex areas to plan for. Whether you decide on term, universal, or whole life coverage is just the first step. The key for life insurance is determining an amount of coverage depending on the stage of life you are in. What are the financial needs of your beneficiaries? How long will the benefit need to last? 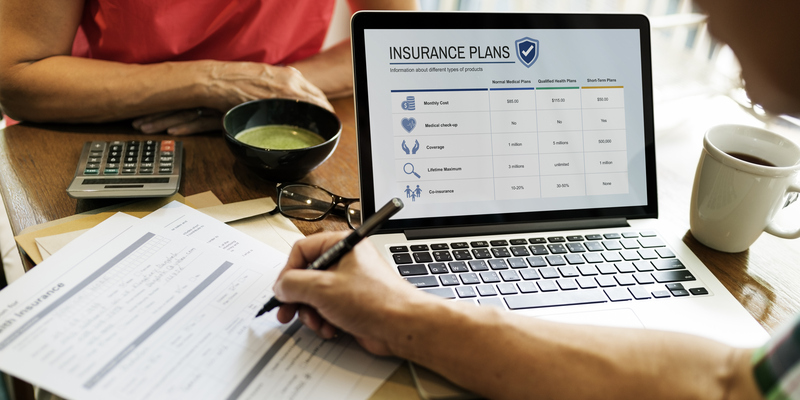 The answers to these questions may change at different stages of life, which creates a need to evaluate and adjust your life insurance plan along the way. It is also critical to ensure beneficiaries are set up correctly. All the coverage in the world won’t have the impact you desire if the right people do not receive the benefits. Disability insurance can be equally, if not more important, than proper life coverage. If you become disabled and unable to work, you will need coverage that not only protects your family income, it also has to provide for you and the challenges that your disability may bring. Unfortunately, most people do not have adequate coverage, if they have it at all. Those that do have disability coverage, most likely only have what their employer provides, and it can contain qualifiers. One of the more common qualifiers is “any occupation” versus “own occupation”. An “any occupation” policy is stricter, paying out if you can’t work in any job reasonably suitable for you; “own occupation” policies pay if you’re unable to perform your current job. That’s an important distinction for professionals—for example, surgeons, who would want to be compensated if they injured a hand and could no longer perform operations. This makes having a proper disability coverage plan all the more important. The need for long-term care coverage has increased in recent years as life expectancies and health care expenses have increased. These late-life healthcare expenses, such as assisted living facilities, are rarely covered by Medicare and can be debilitating to your financial situation. As with many insurance products, the earlier it can be considered, the easier it will be on your finances. This is especially true with long-term care coverage due to the fact it can be a significantly more expensive product than the others discussed. Many in the industry would recommend clients make this decision while in their 50s and still relatively healthy. There is also growing consensus that women should consider this coverage as early as they can. Many insurance companies are starting to increase premiums for women due to longer life expectancies than men, and therefore a greater need for long-term care. We look forward to helping each of our clients develop an insurance plan that offers a more holistic financial plan for them. Because we prefer not sell insurance products at SRP, we are able to offer advice that puts our clients first. We can put our experience and expertise to work for our clients and help them connect with the brokers that can provide the insurance they need. We will help coach you toward your retirement and insurance goals. Give us a call today and let us partner with you as your stewards for a complete retirement!